Thanks to Mom for sharing her Alaskan adventure with us! Our first day in Alaska was cool, overcast and damp. 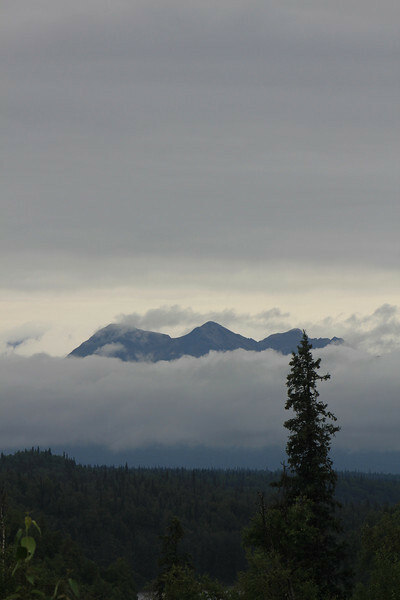 From the lodge, we hoped to catch a glimpse of Denali “The Mountain”. Unfortunately, Denali is only visible 30% of the time.